a. Adopted New Epson 720 Gray Scale Controlling System. b. 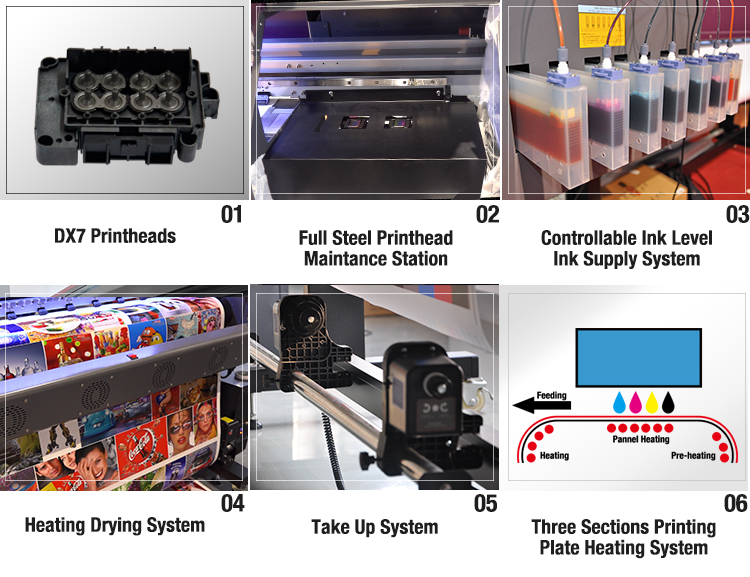 Industry leading technology of gray scale printing by minimum dot size. c. 20% faster than previous system. 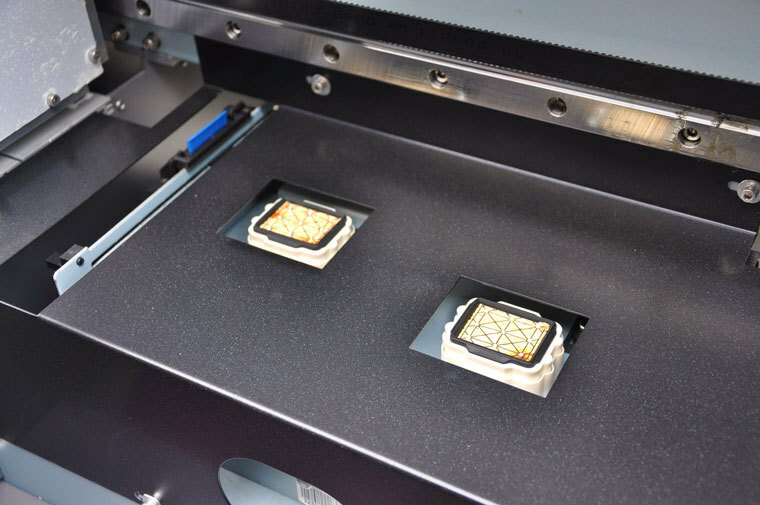 d. One time RIP supporting multimode printing. e. X, Y bidirectional error correction while printing. f. Adjustable vacuum power in print head maintenance station. a. 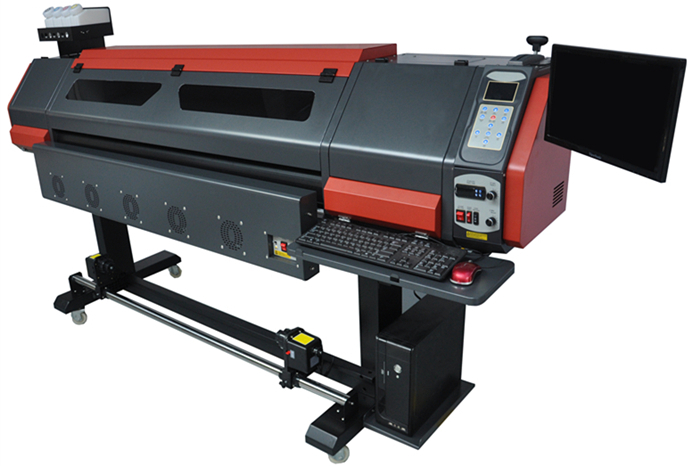 The printer's weight is about 40 kg heavier than previous design, the precision tolerance of Rail Beam and Printing Panel is less than 0.2 mm. b. 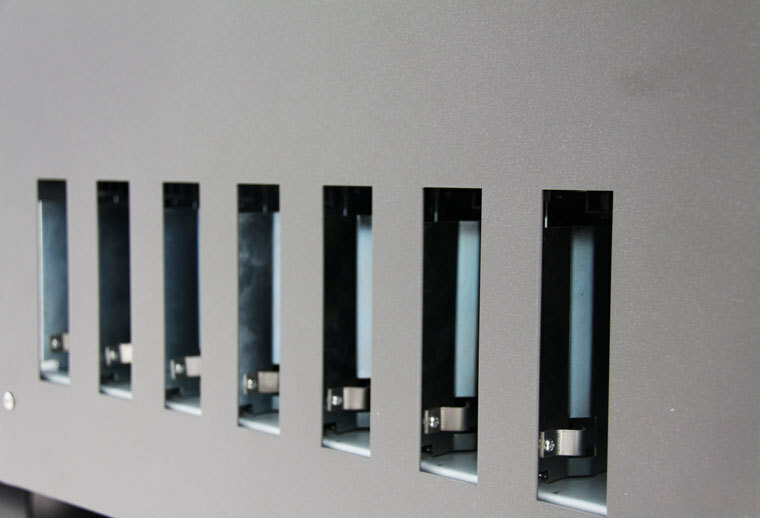 Fire new media feeding system with higher motion accuracy. 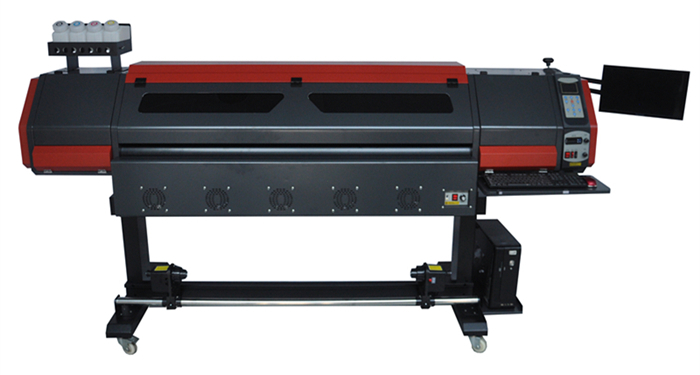 c. New pinch roller guaranteed the media feeding precisely. 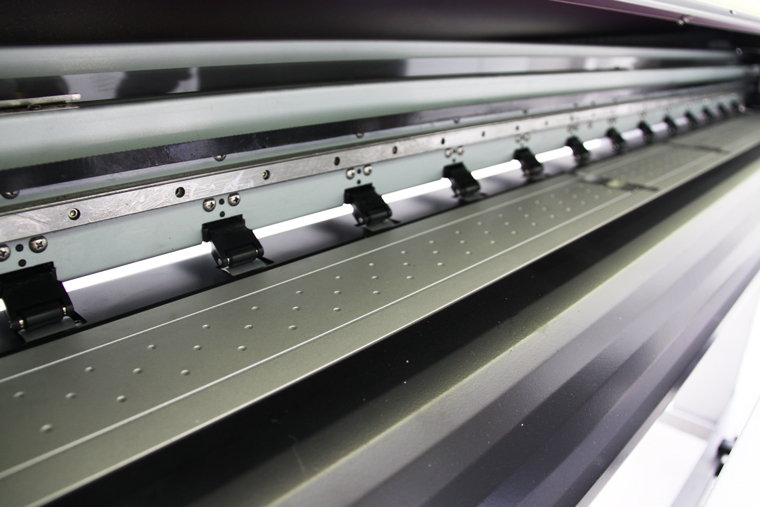 d. Double power media take-up system allows to take up heavier materials. 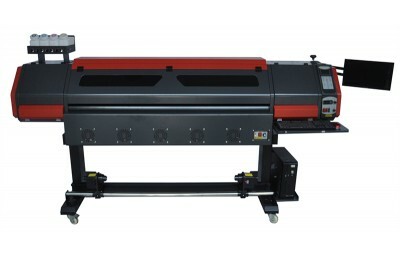 Equipped with 1 pc Epson DX7 Print Head, the 3 Pass printing speed is more than 31 sqm/hr.